With Brexit talks underway, we take a look at how the change will affect property investment in the UK. With the arrival of the Brexit vote came a significant air of uncertainty. Predictions have been made and assumptions have been formed, however, no-one really knows how the real Brexit will pan out and how it will affect our economy. This poses significant problems for current and potential investors. The direct effect of the vote saw a dramatic slide in the value of the sterling and losses for those with property investments in the UK. However, significant scenario planning is needed to ensure any future investments are protected from changes in the economic climate. To help, chartered accountants, Alexander & Co, are offering their insight into how Brexit will affect property investment in the UK. Before discussing the outcome, it’s important to discuss the differences between ‘hard Brexit’ and ‘soft Brexit’. In summary, a hard Brexit would see the UK cutting all its ties with the EU on the leave date. This means giving up full access to the EU’s single market as well as giving up full access to the customs union. In this event, the UK would have to make its own trade deals and would most likely operate under the World Trade Organisation’s rules. Alternatively, a soft brexit would see the UK leaving the EU, however it would still have access to the single market and would remain within the EU’s customs union. It’s still debated which of these options would be the most beneficial, with a large portion of the general public crying out for a soft Brexit. Brexit could potentially see an increase in properties on the market in the UK. This is because after the UK leaves the EU, some people may be forced to sell their properties, resulting in a surplus of available properties on the market. Whilst this leaves property sellers in a difficult position, this could provide opportunities for UK property investors. This is because investors can potentially negotiate good deals with those looking to sell and gain significant savings. 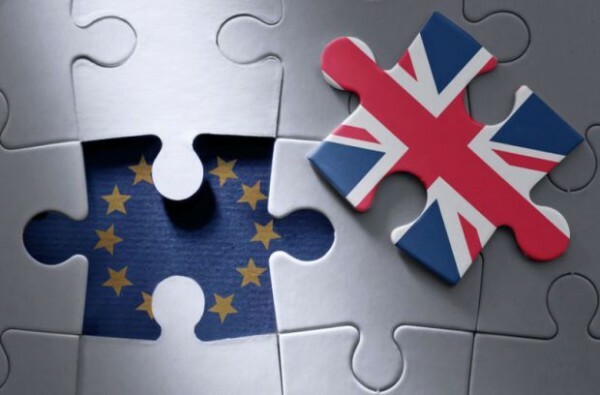 Whilst Brexit may have deterred UK investors, the result of the vote and the dip in prices of the sterling has caused an increase in investment from wealthy overseas proprietors. Should the pound stay at its current low exchange rate, this trend may continue post-Brexit. However, as mentioned earlier, it’s extremely difficult to tell what the outcome will be. Even though property investment is a relatively low-risk investment, it’s important to not make any rash decisions during this volatile economic time. The UK housing market has already shown signs of slowing down since the vote. However, if the current uncertainty about Brexit continues, the market could potentially suffer even more in the future. Whilst property values have remained relatively steady after the Brexit vote, there are fewer transactions taking place, pointing to a slowing down of the UK housing market. What do you see as the future of property investment after Brexit? Do you think investors will be able to profit after the final decision is made?